You are currently not taking any of our courses. Educate both your staff and your customers with our different courses! You are currently not registered for any of our events. Sign up for one of the great events available today. All ACUVUE® brand contact lenses Filter by lens and replacement frequency. Order lenses Place an order via myAccount. DISTANCE LEARNING CET Earn free CET points anytime, anywhere with our online bite-sized modules. Quick Learning By Topic This section has been designed to cover key topics in contact lens practice in less than 10 minutes. Simply select a topic below. The Johnson & Johnson Institute Education through inspiration. Our one and two day courses are designed to promote learning, debate and best practice standards for Eye Care Professionals. EDUCATIONAL MOMENTS® Brush up your diagnostic skills and find out how to use effective communication to optimise your patient’s contact lens experience. MULTIFOCAL CALCULATOR Fit multifocal contact lenses fast! Simply enter a few details, click calculate and you have your trial pair – it’s that simple! Marketing Support Access our helpful digital assets and step by step guidance on simple but effective marketing including direct mail and social posts. News The latest news and information from Johnson & Johnson Vision Care Companies. myAccount Login to your personal account to order for one or several practices and access important information. Our commitment to you Information about our credo and our customer services team’s commitment to helping you. Our dedicated team Information about our dedicated customer services team on hand to assist you. Customer care policy See our policy on customer care issues. How to apply for an account with us Information and advice on setting up an account with Johnson & Johnson Vision Care. How to order our products How to order Johnson & Johnson Vision Care Companies products via our online ordering platform. How to return our products Damaged lenses? Wrong quantity or parameters? Send them back. Delivery information Details concerning delivery of orders placed with Johnson & Johnson Vision Care Companies. Frequently asked questions Get answers to a range of commonly asked questions. Contact us Questions? Comments? Connect with us via free phone 0800 022 4222 (UK) or 1800 812 100 (Eire). You can also fill out our Contact form. Download our ACUVUE® ASTIGMATISM Range Calculator developed by David Ruston (Director WorldWide Professional Affairs) and Ian Pyzer (Professional Affairs Manager UK and Ireland) at J&J Vision Care. 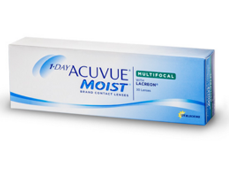 Find ACUVUE®contact lens products that are available for your patient to trial. Convert spectacle prescriptions to contact lens prescriptions. Calculate lens orientation for your patient. Better understand how to fit ACUVUE® contact lenses. Note: You will download a Microsoft Installer (MSI) file. This file will help you install our calculator onto your Windows computer. For more information, please read How to install MSI files. This site is dedicated to supporting Eye Care Professionals with all your business and clinical education needs. This site combines the resources of Johnson & Johnson Vision Care Companies and THE VISION CARE INSTITUTE® in one place. That means you have all that you need, right at your fingertips, in practice, at home or on the go using any mobile device. Oh Hello! Are you a patient looking for information about ACUVUE® Brand Contact Lenses? 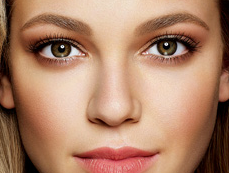 Please click Go to ACUVUE® website. Learn how 1-DAY ACUVUE®DEFINE® was developed from wide scale, insight-led research, into the product available today. The unique elements of the design are explained along with the proprietary technologies used in the lens. You will see how wearers react to the lens, hear how practitioners talk about natural eye enhancement and find a number of top tips to help you maximise success in your practice. Suitable for both practitioners and practice staff. As your patients progress in to presbyopia, you require a multifocal contact lenses that allows you to continue to deliver excellent care. In this module learn how the needs of the ageing eye are met by 1-DAY ACUVUE® MOIST MULTIFOCAL. The presbyopic population is increasing and also maintaining a more varied and active lifestyle. Discover how to prescribe eye care solutions that keep apace of these developments and help meet your patients' needs. © Johnson & Johnson Medical Limited 2018. All rights reserved. This site is published by Johnson & Johnson Medical Limited, which is solely responsible for its content. It is intended for use by Eye Care Professionals of the United Kingdom and the Republic of Ireland. ACUVUE®, ACUVUE OASYS®, 1-DAY ACUVUE® TruEye®, 1-DAY ACUVUE®MOIST, ACUVUE® ADVANCE®, 1-DAY ACUVUE® DEFINE®, NATURAL SHIMMER™, NATURAL SPARKLE™, HYDRACLEAR®, LACREON®, ACUVUE OASYS® 1-Day, HydraLuxe™, INTUISIGHT™, ACUVUE® VITA™, INNOVATION FOR HEALTHY VISION™ are trademarks of Johnson & Johnson Medical Limited 2018.